Lisa Harris is a Christy Award finalist and the winner of the Best Inspirational Suspense Novel for 2011 from Romantic Times. With over 20 novels and novella collections in print, she embarks on a new series, Southern Crimes, featuring protagonist Avery North. The story begins when an unidentified body turns up just outside of Atlanta. Detective and behavioral specialist Avery North is already working on a Jane Doe murder, one that finds her scratching her head as to who the perpetrator is and a motive. Overworked and in need of time away from the job, she’d like to tell her supervisor to pass the new investigation to another detective—that is until she discovers that this Jane Doe shares an unmistakable commonality with North’s first victim: a small magnolia tattoo on her right shoulder. As the investigation unfolds, we are introduced to medical examiner, Jackson Bryant. Bryant and North apparently already have eyes for each other, so their romantic involvement is not much of a surprise. The romance seems to have an ebb and flow, as North has myriad personal issues that prevent her from totally involving herself with Bryant, something that readers may find slows the story. Bryant’s character never seems totally fleshed out, and it’s difficult to make a connection with him. 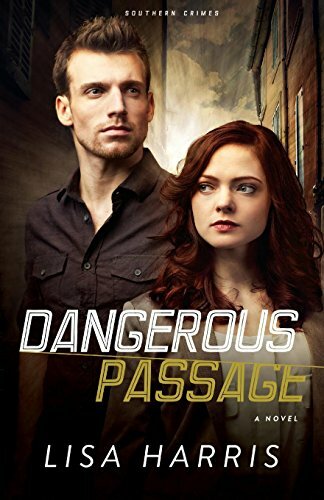 Overall, Dangerous Passage is a good mystery, particularly since it introduces the contemporary issue of human trafficking later in the story. We’ve seen this phenomenon in our country before, which make this story line quite believable. To demonstrate this crime’s devastating effect, Ms. Harris sets forth some facts about human trafficking at the end of the book. They may shock you.